Chicago White Sox relief pitcher Danny Farquhar, 31, suffered a brain hemorrhage in the White Sox dugout after throwing 15 pitches Friday night, April 20, devastating his family, teammates and fans. The cause was a ruptured brain aneurysm, according to reports. Farquhar is in critical condition at Rush University Medical Center. I am a neurosurgeon who operates on patients who have suffered ruptured brain aneursysms, and I also study the causes and treatments for them. I see life changed in an instant for far too many people. There is no evidence that brain aneurysm is related to traumatic brain injury. So how is it, many may wonder, that a young athlete in phenomenal shape could suddenly develop a deadly condition? An aneurysm is a weak spot on the wall of an artery. The Brain Aneurysm Foundation estimates that 6 million people, or 1 in 50, have an unruptured brain aneurysm. Aneurysms can be detected by imaging, but screening imaging is not recommended unless there are symptoms or there is a strong family history of brain aneurysms. Over time, the weak spot expands almost like a water balloon. If it keeps expanding, it will eventually reach a breaking point and burst. The causes are largely unknown. Some may be hereditary. 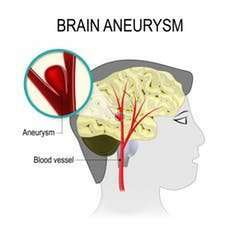 Aneurysms can form anywhere in the body, but brain aneurysms occur in the blood vessels of the brain, usually at the base. Aneurysms tend to form at branching points where blood vessels diverge. Brain aneurysms affect young and old, rich and poor, those with a family history of aneurysms and those without. They typically strike without warning, and 50 percent of the time prove fatal, throwing families into shock and sudden grief. Four out of 5 people who suffer a brain aneurysm have no family history of it. There is some indication in the research that smoking puts you at higher risk, and that aneurysms disproportionately affect women. But no one knows for sure what causes brain aneurysms, which affect up to 5 percent of Americans and result in 30,000 cases of ruptured aneurysms each year. Symptoms of a brain aneurysm include headaches, double vision, vision changes, seizures or other neurological changes. The real problem occurs when the aneurysm ruptures. Patients with a ruptured aneurysm experience bleeding in the brain called sub-arachnoid hemorrhage, which is a type of stroke. Such patients may feel an overpowering "thunderclap" headache. They may die suddenly or be found comatose. When a patient has a ruptured aneurysm, we try to treat it so that it doesn't rupture again. If it ruptures a second time, there is an 80 percent chance of death. The statistics for this devastating disorder are grim: When a brain aneurysm ruptures, there is a 15 percent chance of death before even getting to a hospital. Of those who survive, there is a 30 to 50 percent chance of permanent disability, ranging from severe brain damage to more mild cognitive difficulties. 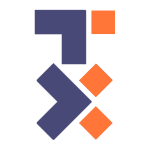 Many are unable to return to work. Current research in the field of cerebral aneurysm points to inflammation as a possible cause for aneurysms to arise. Patients diagnosed with an unruptured aneurysm often learn of it incidentally. Maybe they came in for double vision or headaches. Maybe it was cranial nerve palsy, or, in rare cases, a seizure. Patients with a diagnosed aneurysm may undergo surgery. This involves opening the skull and pinching off the aneurysm with a metal clip. Or they may receive endovascular treatment, in which I and other surgeons thread a small tube through an artery in the leg all the way up to the brain to fill the inside of the aneurysm with soft packing wires called coils. Or, we place a stent, a metal mesh tube. My goal is to identify the cause – and to pursue preventative and therapeutic treatments. Farquhar's ruptured aneurysm is a painful reminder of the tragic death of another professional athlete, Konrad Reuland. As I and others hope for the best for Farquhar, I am reminded of Reuland, whose life became forever linked with baseball Hall of Famer Rod Carew in December 2016. Carew, who needed a new heart, received Reuland's. Reuland suffered a brain aneurysm on Nov. 26, 2016. He died Dec. 12, 2016. Medical experts and sports historians believed the surgery that saved Carew's life to be the first heart transplant operation between two major league athletes. The story of Reuland's gift and Carew's recovery touched the hearts of fans across the country. Reuland's decision just a few months earlier, as a 20-something who appeared to be the very picture of health, to check the organ-donor box on a driver's license form. It changed not only the course of Carew's life but also those of two other people who received Reuland's liver and kidney. Carew, who played for the Minnesota Twins and California Angels and ended his career with 3,053 hits, received the other kidney. Carew had suffered a major heart attack in 2015 and had been placed on a waiting list for a heart transplant. Carew, whose jersey number was 29, did not know at the time of his Dec. 16, 2016 surgery that he was receiving Reuland's heart. Reuland's family did not know who the recipients of the 29-year-old's organs would be. But Mary Reuland, Konrad's mother, figured out the connection between Carew and her son a few weeks later. She had read about the lifesaving heart transplant that Carew received four days after Konrad's death, and several people had asked her if she thought Carew could have been the recipient. Curious, Mary Reuland called the organ donation network, which matched Konrad's heart to Carew. She learned that her son's heart was in fact the one that saved Carew's life. The families met less than three months later, and Mary Reuland listened with a stethoscope to her son's beating heart inside Carew's chest. As a medical professional and sports fan, I was deeply moved by these events. But as a neurosurgeon who specializes in brain aneurysm, I also am deeply saddened to see the toll that aneurysms can take. I am hoping and searching for ways to identify the cause – and to pursue preventative and therapeutic treatments.